The ideas of John Maynard Keynes inspired the New Deal and helped rebuild world economies after World War II -and were later dismissed as "depression economics." Then came the great meltdown of 2008. Market forces that the world relied on suddenly failed to self-correct-and Keynes's doctrine of corrective action in an imperfect world became more relevant than ever. Keynes was not a traditional economist: He was a polemicist, iconoclastic public intellectual, peer of the realm, and political operative, as well as an openly homosexual Bohemian who befriended Virginia Woolf and E. M. Forster. 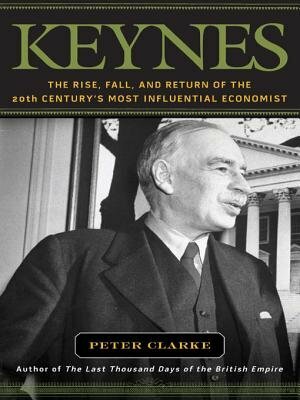 In "Keynes," noted historian Peter Clarke provides a timely and masterful accounting of Keynes's life and work, bringing his genius and skepticism alive for an era fraught with economic difficulties that he surely would have relished solving.